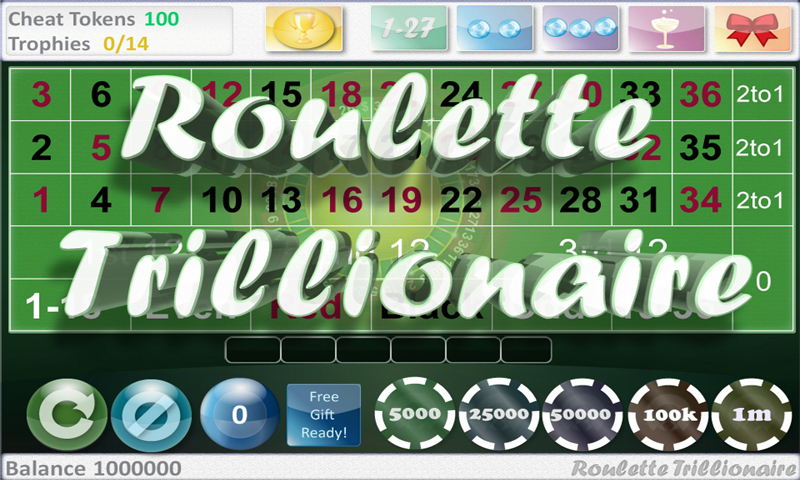 Roulette Trillionaire: Live out your ultimate gaming fantasies with our new groundbreaking Android game called Roulette Trillionaire. 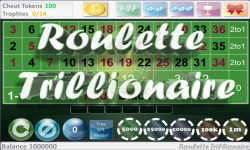 Unlike other roulette games, the odds in Roulette Trillionaire are stacked in your favor. 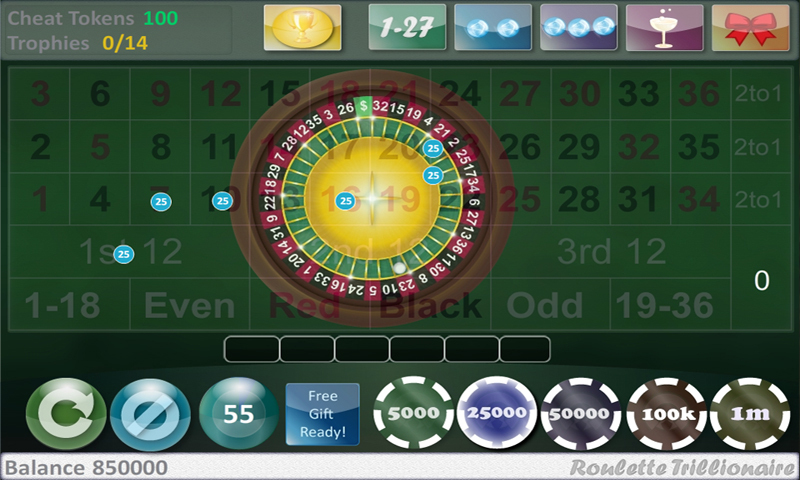 Use the game’s built-in cheats to win huge payouts and play the most fun and satisfying roulette game ever. You start the game with one million chips. 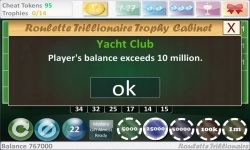 Play smart and become a trillionaire. 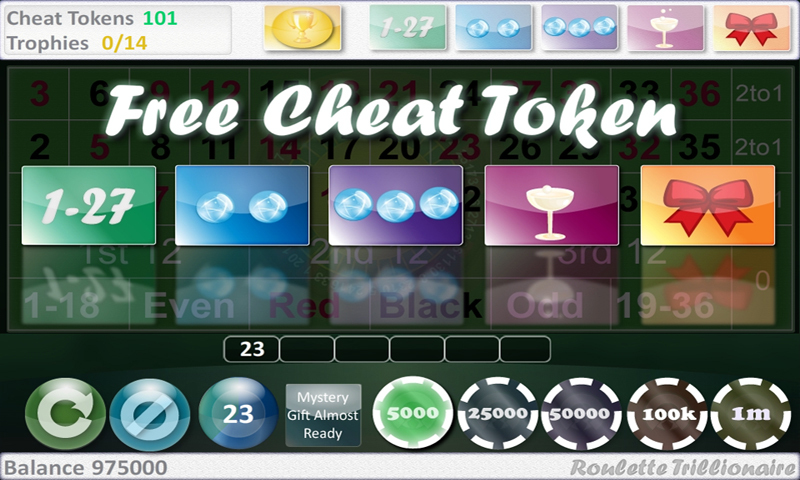 You will be rewarded with free gifts and trophies as you play. 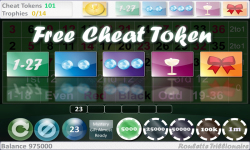 The following cheats are available in this game: 1. “Magnet” - The ball will only fall between the numbers 1 to 27. 2. 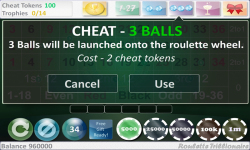 “2 Balls” - Two balls will be launched onto the roulette wheel instead of one. 3. 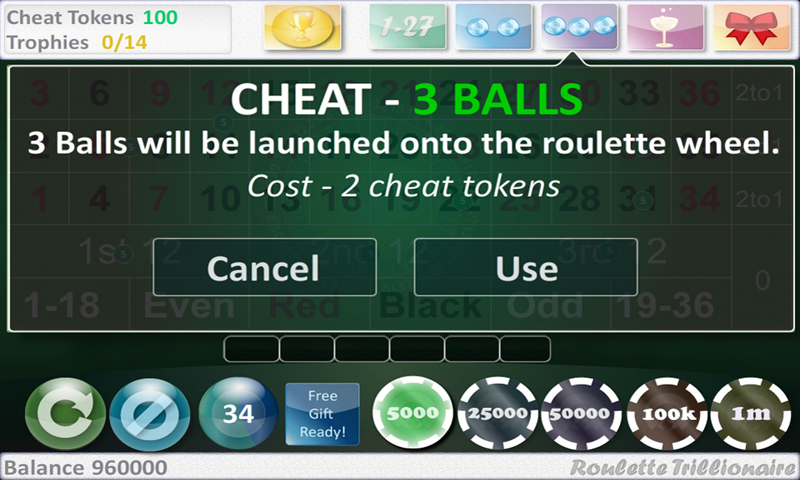 “3 Balls”- Three balls will be launched onto the roulette wheel instead of one. 4. “Outside 2x”- Payouts on all outside bets (black, red, even, odd etc.) are doubled. 5. 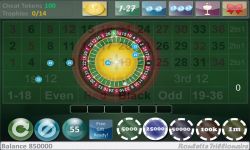 “Jackpot”- Blackjack pays out 100:1. 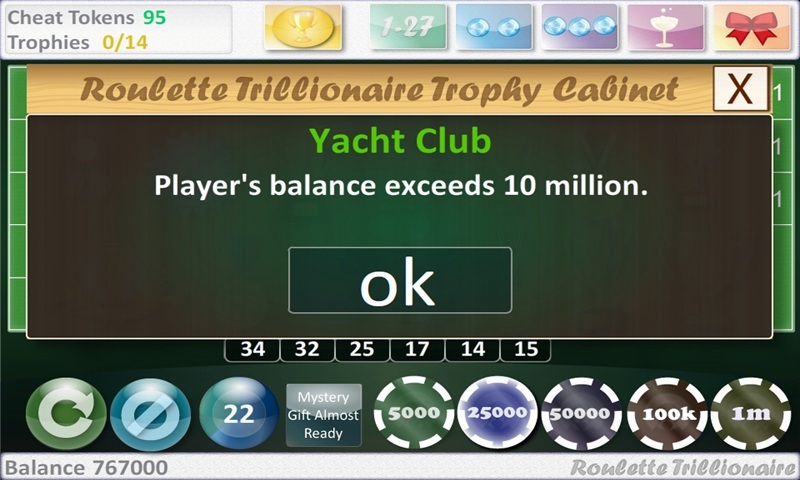 The free version of Roulette Trillionaire contains third party advertisements.